Taimur Ali Khan has become a star already in Bollywood as he is the son of actors Kareena Kapoor Khan and Saif Ali Khan. Paparazzi never fails to click this munchkin and his activities whenever he steps out with his nanny or his parents. 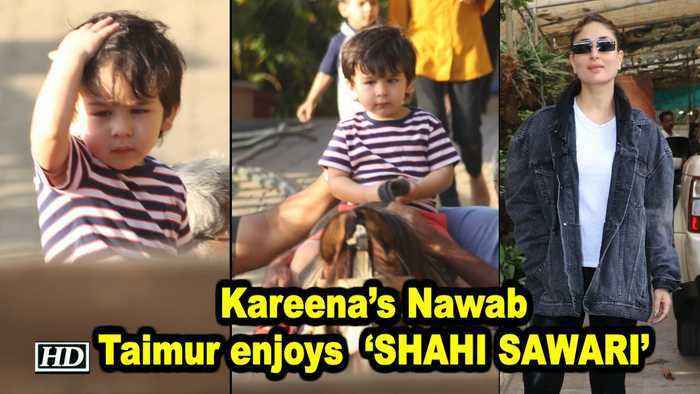 The Chote Nawab was clicked enjoying a horse ride. Indeed, as a prince of Pataudi Khandaan, he was looking very cute and adorable. He was enjoying his ride and posed for the paparaazi too.